29 And they set out from Mithkah and camped at Hashmonah. 30 And they set out from Hashmonah and camped at Moseroth. 31 And they set out from Moseroth and camped at Bene-jaakan. 32 And they set out from Bene-jaakan and camped at Hor-haggidgad. 33 And they set out from Hor-haggidgad and camped at Jotbathah. 34 And they set out from Jotbathah and camped at Abronah. 35 And they set out from Abronah and camped at Ezion-geber. 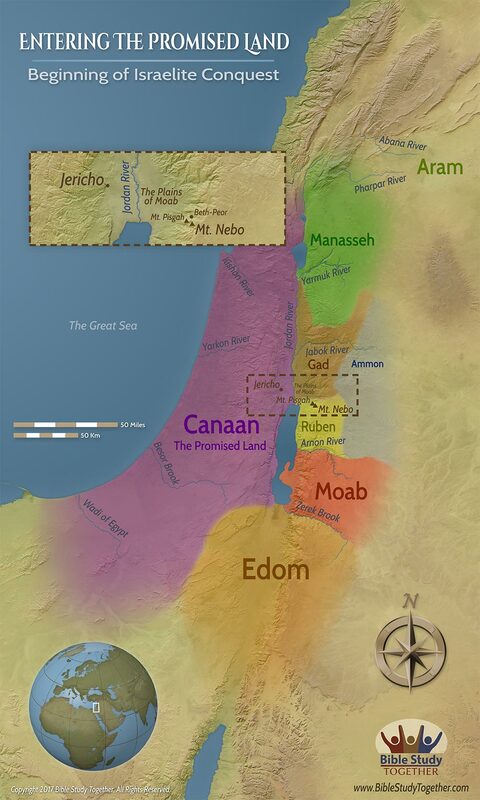 36 And they set out from Ezion-geber and camped in the wilderness of Zin (that is, Kadesh). 37 And they set out from Kadesh and camped at Mount Hor, on the edge of the land of Edom. 29And they went from Mithcah, and pitched in Hashmonah.30And they departed from Hashmonah, and encamped at Moseroth.31And they departed from Moseroth, and pitched in Benejaakan.32And they removed from Benejaakan, and encamped at Horhagidgad.33And they went from Horhagidgad, and pitched in Jotbathah.34And they removed from Jotbathah, and encamped at Ebronah.35And they departed from Ebronah, and encamped at Eziongaber.36And they removed from Eziongaber, and pitched in the wilderness of Zin, which is Kadesh.37And they removed from Kadesh, and pitched in mount Hor, in the edge of the land of Edom.38And Aaron the priest went up into mount Hor at the commandment of the LORD, and died there, in the fortieth year after the children of Israel were come out of the land of Egypt, in the first day of the fifth month.39And Aaron was an hundred and twenty and three years old when he died in mount Hor.40And king Arad the Canaanite, which dwelt in the south in the land of Canaan, heard of the coming of the children of Israel.41And they departed from mount Hor, and pitched in Zalmonah.42And they departed from Zalmonah, and pitched in Punon.43And they departed from Punon, and pitched in Oboth.44And they departed from Oboth, and pitched in Ijeabarim, in the border of Moab.45And they departed from Iim, and pitched in Dibongad.46And they removed from Dibongad, and encamped in Almondiblathaim.47And they removed from Almondiblathaim, and pitched in the mountains of Abarim, before Nebo.48And they departed from the mountains of Abarim, and pitched in the plains of Moab by Jordan near Jericho.49And they pitched by Jordan, from Bethjesimoth even unto Abelshittim in the plains of Moab.50And the LORD spake unto Moses in the plains of Moab by Jordan near Jericho, saying,51Speak unto the children of Israel, and say unto them, When ye are passed over Jordan into the land of Canaan;52Then ye shall drive out all the inhabitants of the land from before you, and destroy all their pictures, and destroy all their molten images, and quite pluck down all their high places:53And ye shall dispossess the inhabitants of the land, and dwell therein: for I have given you the land to possess it.54And ye shall divide the land by lot for an inheritance among your families: and to the more ye shall give the more inheritance, and to the fewer ye shall give the less inheritance: every man's inheritance shall be in the place where his lot falleth; according to the tribes of your fathers ye shall inherit.55But if ye will not drive out the inhabitants of the land from before you; then it shall come to pass, that those which ye let remain of them shall be pricks in your eyes, and thorns in your sides, and shall vex you in the land wherein ye dwell.56Moreover it shall come to pass, that I shall do unto you, as I thought to do unto them. 21Then Jesus went thence, and departed into the coasts of Tyre and Sidon.22And, behold, a woman of Canaan came out of the same coasts, and cried unto him, saying, Have mercy on me, O Lord, thou son of David; my daughter is grievously vexed with a devil.23But he answered her not a word. And his disciples came and besought him, saying, Send her away; for she crieth after us.24But he answered and said, I am not sent but unto the lost sheep of the house of Israel.25Then came she and worshipped him, saying, Lord, help me.26But he answered and said, It is not meet to take the children's bread, and cast it to dogs.27And she said, Truth, Lord: yet the dogs eat of the crumbs which fall from their masters' table.28Then Jesus answered and said unto her, O woman, great is thy faith: be it unto thee even as thou wilt. And her daughter was made whole from that very hour. What were the Israelites supposed to do when they crossed over the Jordan? What are the similarities between leaving the inhabitants in the land and leaving sin in your life? Why did Jesus consider the woman to have great faith? Why did the disciples try to send the woman away and how can you relate to them? Respond to someone’s call for help.